The Laisimo SnowWolf 200W Plus TC Box Mod is the latest SnowWolf device and integrates a new Touch Screen, a 235W capable chip set, and a smaller housing than the original. The SnowWolf 200W Plus offers an easy to navigate menu system with a new manual mode selection and comprehensive temperature control suite. 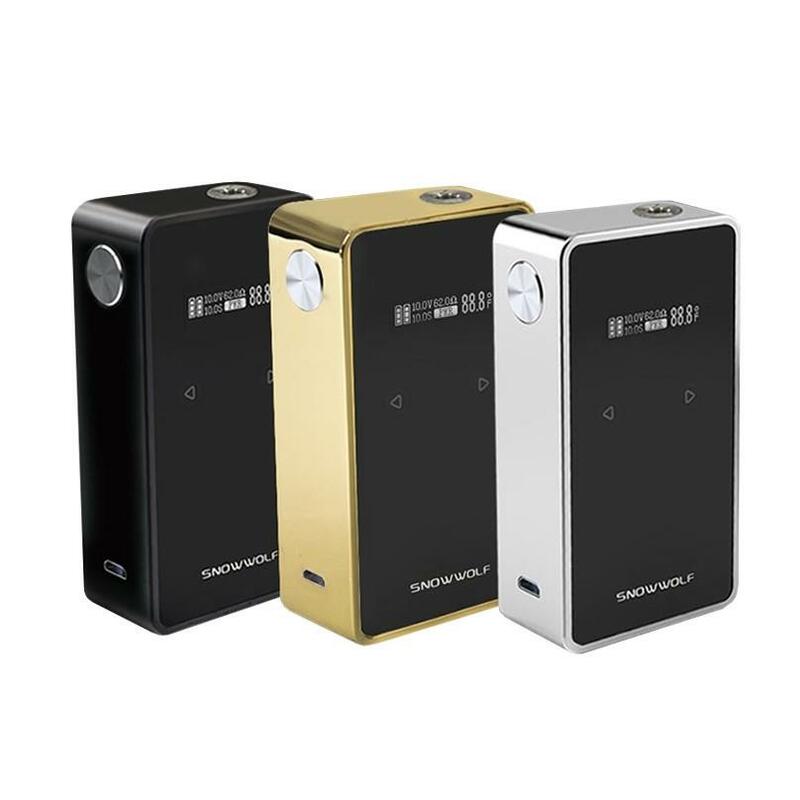 Keeping the iconic design style of the original SnowWolf, Laisimo has decreased the overall dimensions of the SnowWolf Plus while retaining the two 18650 batteries (sold separately) platform accessible via a magnetic glass paneled door. The lockable adjustment controls are integrated into the face of the device using a touch screen control bar beneath the standard 0.96 inch screen, while the oversized firing switch remains on the side of the housing. The SnowWolf Plus accommodates atomizers up to 24mm and has a spring loaded gold plated contact and stainless steel thread point. The Laisimo SnowWolf 200W Plus TC Box Mod offers a user friendly interface and a powerful 235W output chip set in a beautiful stylish housing, making the SnowWolf Plus a great option for all users.